Here at Halls Head Dental, we pride ourselves on making every visit to the dentist a great experience, starting with our welcoming, qualified and friendly team. We offer a variety of facilities in the reception, including free internet access, smart TV, up-to-date magazines, educational brochures, and a toy box for the kids. Our reassuring dental assistants work closely with our experienced, qualified dentists to treat patients efficiently and professionally. By using innovative dental technology, we have built a trusting relationship with each one of our patients. We make sure you have a total understanding of what we are doing and why it is important for your dental health. After we greet you, we will ask that you fill out our confidential ‘new patient medical questionnaire’ which gives us an idea about your medical history, helping us to assess your situation and provide a tailored treatment. One of our friendly dental assistants will introduce themselves and walk with you to the clinic where you will meet your dentist. 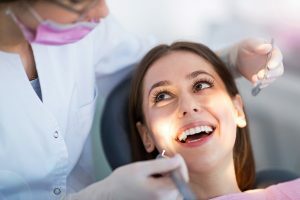 Once you are comfortable, the dentist will have a short conversation with you to discuss your medical history, current health and oral hygiene, and any concerns you may have. They will then examine your teeth, gums, tongue, glands, and jaw. Your dentist will then take one or two radiographs with a digital x-ray; the results of this will be visible on your screen immediately. From here, your results will be explained and any concerns will be highlights. By doing this, your dentist can develop a custom treatment plan to keep you smiling with confidence. After your first visit to our state-of-the-art clinic, it is vital to return every 6 months for check ups and tooth cleanings. We will keep a record of your history to assist us in servicing your oral health quickly and efficiently throughout your life. The friendly team at Comfy Dental is your local dentist in Mandurah. We strive to make every visit comfortable and successful, starting from your very first appointment. Call us on (08) 9582 8687 to gain confidence in your smile.